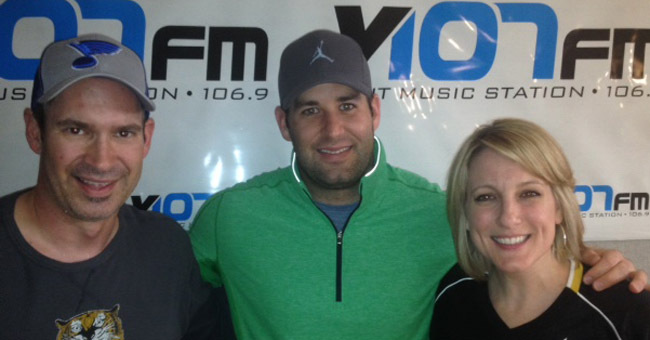 Former Mizzou and current Kansas City Chiefs quarterback Chase Daniel is in Columbia for the Mizzou Black & Gold football game, so he decided to stop by and hang out with Cosmo & Whitney! While he was here, he showed Whitney how to throw a football, and Cosmo fell out of a chair! Check out 10StarApparel.com and see what else Chase has been up to. Exclusive Mizzou Tees Coming Soon!